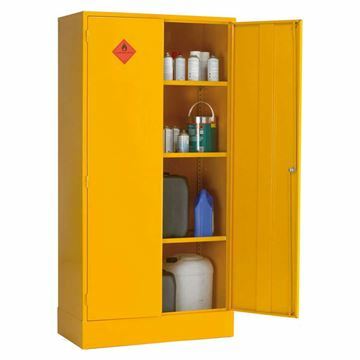 Fitted with spill containing shelves and integral liquid tight sump for superior spill management. Seam welded 0.9mm & 1.2mm mild steel construction. Reinforced doors with 2 point locking. Supplied with 2 keys. Shelves are adjustable on 25mm centres and act as a 25mm deep spill tray. 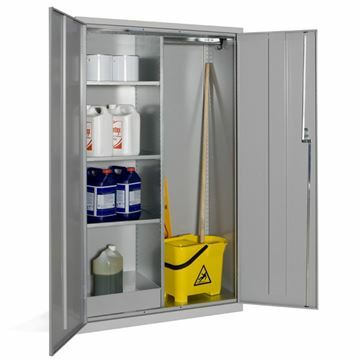 Wide janitorial cupboard with 3 half adjustable shelves. 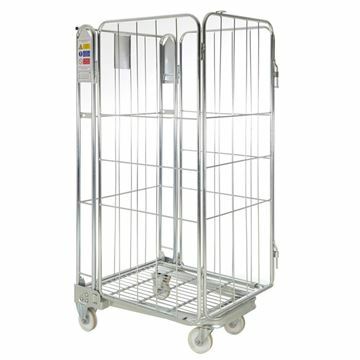 Designed for contents protection during use and minimal storage space when nested. 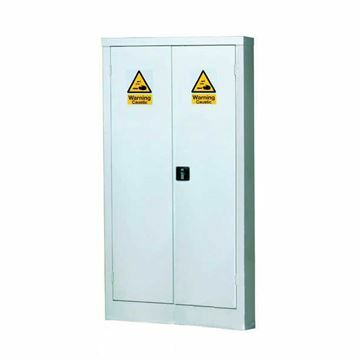 Strong steel frame, wire rod inserts and a corrosion-resistant, electro-plated zinc finish.